“Dynamic measurements of wind turbine acoustic signals, employing sound quality engineering methods considering the time and frequency sensitivities of human perception.” Presented at NOISE-CON 2011, Portland, Oregon, July 25-27, 2011. Click here for a PDF of the paper. The reason the wind industry experts can claim that wind turbines produce insignificant levels of infrasound and low frequency sound is not because there isn’t any, but because the instruments and methods they use cannot detect it. In effect, they go hunting for a needle in the haystack using a magnet, when the problem is the needle is made of plastic. When analyzed using a tool that can detect it, we find that infrasound and low frequency noise are there and they are there at Sound Pressure Levels (SPL’s) much higher than previously considered likely. The understating of the true peaks that occurs during analysis, using conventional acoustical instruments and methods, effectively flattens and stretches out the dynamic modulation (crest factor), leading to the misconception that the levels are insignificant. This study shows that, when analyzed according to the time response of the human transducer, the peaks of the energy waves can be above 90 dB Sound Pressure Level (SPL). When combined with the findings of Dr. Alec Salt, our analysis shows that the dynamically modulated infrasound can be perceived by the auditory system at levels that are below the conventionally-determined threshold of audibility. It is the short duration and extent of the change in sound pressure, rather than the overall energy level, that is stimulating the vestibular system. Hence, the issue is not the average energy, but the short duration, peak values, and extent of change in energy—assuming that some lower threshold, like Dr. Salt’s 60 dBG for cochlear Outer Hair Cell (OHC) activity, has been reached. The Massachusetts Technology Collaborative the state’s economic development agency for renewable energy was always aware of two different types of noise . Every report they prepared for towns like Mattapoisett or Dartmouth Massachusetts always refer to two distinct types of of noise . One is the legal test noise the other is the Human annoyance. Most of the siting reports are very clear to include two catagories one is A and the other is B .I beleive the MTC was very careful writing these reports back in 2005 through 2007 and had to tell the selectmen of the towns these wind siting reports were prepared for that the turbines have two noise issues A and B . In other words the reports have it in writing that there are two different types of noise. The project engineers always refere to A the legal number of DBs or the regulatory noise and never bring up the B Human annoyance . This keeps the MTC off the hook legally . The only problem now is like in Falmouth every time they install another turbine on Cape Cod another 50 people are going to get sick . They say you have to break a few eggs to make a cake .If that is the case with 50 more wind turbines planned for Cape Cod that’s a lot of broken eggs ! The URLs are next with the two references in each study -the Dartmouth study has B. Human annoyance dropped . B. Aside from Massachusetts regulations, residences must also be taken into consideration. Any eventual turbine would be sited such that it would be inaudible or minimally audible at the nearest residences. At this stage, to check for “fatal flaws,” a rule of thumb can be used: wind turbines should be sited at least three times the blade tip height from residences. Distances from mixed-use areas may be slightly shorter. Noise is unlikely to be an issue in siting wind power at either of these locations. Listen to this speech on S-T .com from a few years ago.Also listen about half way through about shadow flicker at noon time and then towards the end shadow flicker at sunset and sunrise . I never said there is no noise or shadow flicker ! These people can live fine with this problem ! This is a financial gain for the Town of Dartmouth and the environment ! Listen to my speech and get it through your heads ! Dartmouth wind advocate Dr. Ron DiPippo, an engineer and chairman of the Dartmouth Alternative Energy Committee, says shadow flicker can be disconcerting and is opponents’ most valid concern. He also responds to an opinion piece in The Standard-Times by Canadian engineer William K.G. Palmer, who warned that even a small piece of falling turbine blade would hit the ground with the force of a Ford Crown Victoria. The shadow flicker is a problem ! Also a little noise – The financial gain justifies the ends ! 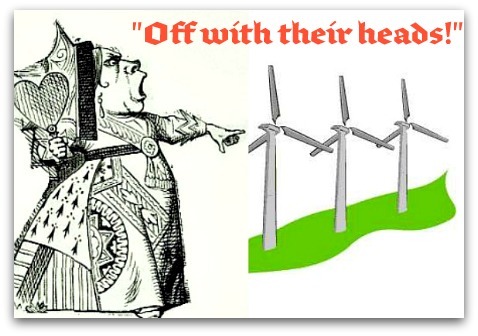 Infrasound is inaudible, so it is a splendid distraction by the wind turbine industry to focus on annoyance by noise and to quote decibel “A” sound intensity transmitted through air. What is desperately needed are detailed measurements of seismic vibrations of wind turbine towers, their concrete foundations and solid structures out to at least 10 Km. Vibroacoustic disease (VAD) has still not received adequate attention in medical, biological or ecological research. It is very likely that a wide range of diseases develop in people and other creatures exposed over several years to low frequency vibrations. The cells of the body are all connected by fine fibres which transmit specific signals from cell to cell. The fibres are disrupted by low frequency vibrations, particularly between 5 and 10 Hz, and wind turbine vibrations show peak intensity in this inaudible range. Audible noise is a poor indicator of the danger. A bit like relying on the survival of a canary in a uranium mine to warn you when to climb out.